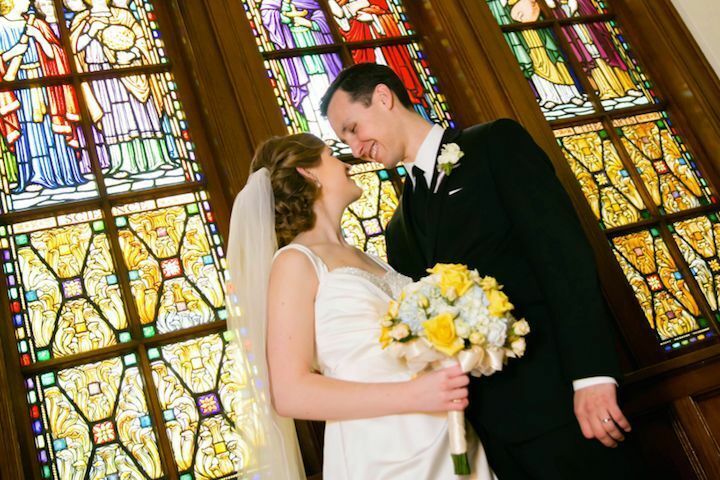 The Michigan League in Ann Arbor, Michigan offers couples a variety of classically beautiful locations to exchange vows among family and friends. 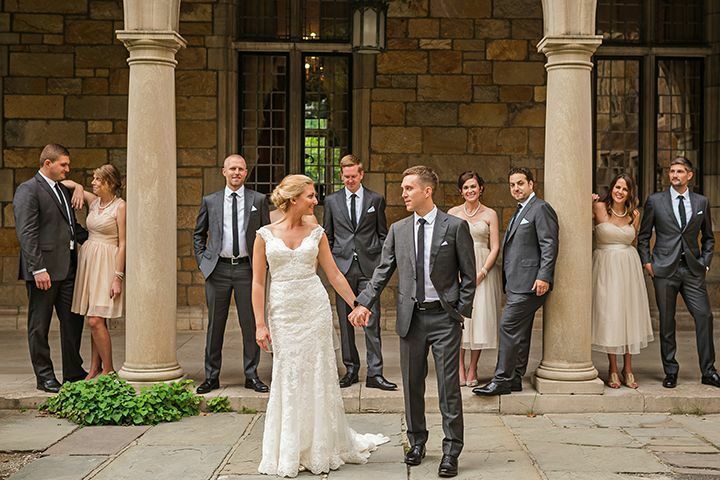 Whether hosting a small intimate wedding or a grander celebration, Michigan League can accommodate. 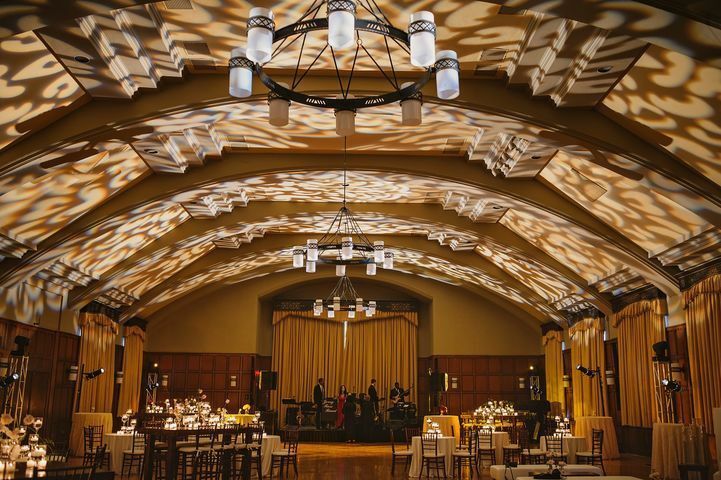 Housed on the University of Michigan, Ann Arbor campus, this venue offers a beautiful backdrop for an indoor or outdoor wedding. Gather friends and family at one of the four spaces available within this venue. 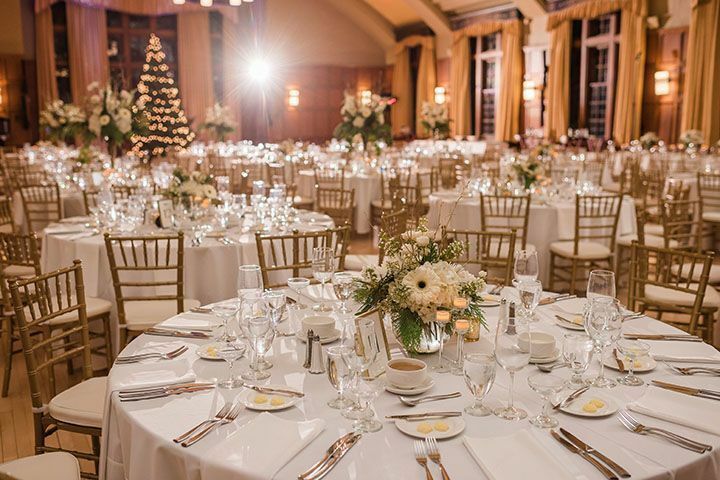 The second-floor ballroom is a classically stunning space that accommodates up to 250 guests. The floor-to-ceiling windows illuminate a fitting space for a magical wedding day. Gaze upward to the expansive ceiling decorated with chandeliers. For a cocktail reception or socializing, the second-floor Concourse with its arch-styled doorways and striking ceiling can accommodate 150 standing guests. 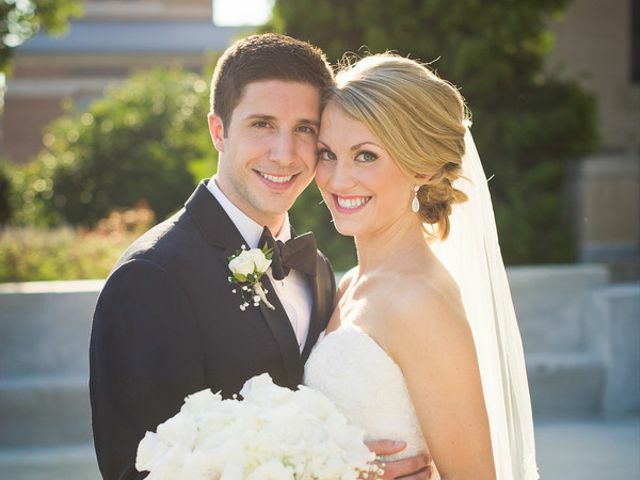 Couples looking for an outdoor celebration setting may enjoy the Courtyard Garden that can accommodate up to 49 guests. 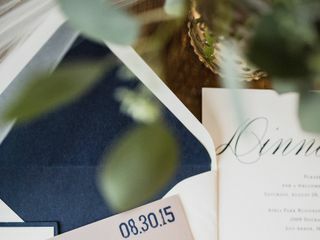 Exchange vows in this intimate setting surrounded by the serene elegance of nature. 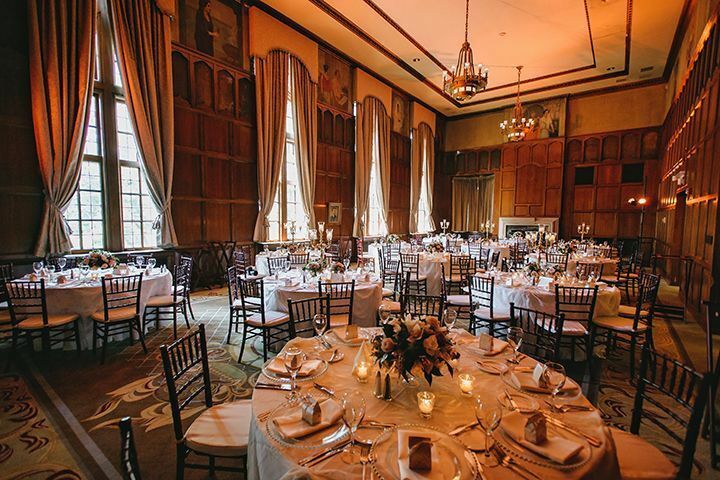 On the third floor of the Michigan League is the Henderson Room that can accommodate up to 72 people in a banquet-style layout. Also included within this venue is an Inn and dining facilities. 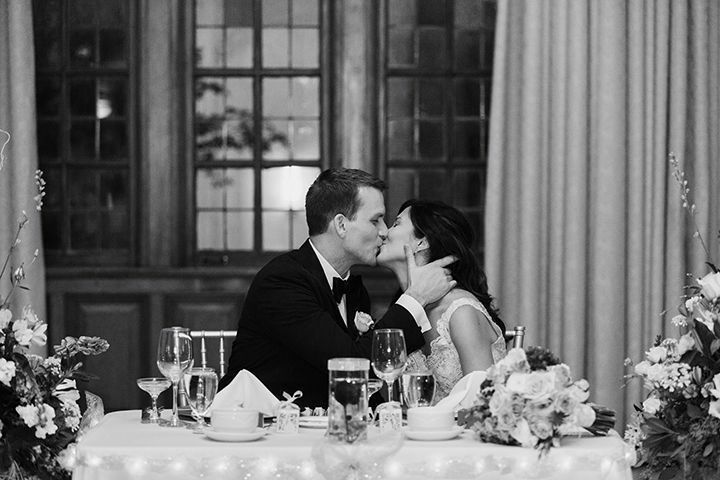 The Michigan League can accommodate engagement parties, bridal showers, rehearsal dinners, ceremonies and receptions. The list of services provided by this venue include setup and cleanup of the event space, event rentals, lighting and sound, in-house catering and liability insurance. 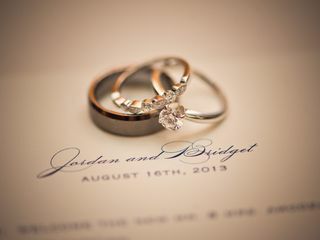 The Michigan League venue offers various event items for added convenience on your wedding day. The venue provides audio equipment, chairs and chair covers, drapery, lighting, a dance floor, furniture and tables. This venue provides various dining layouts, including but not limited to buffet and seated dinners. 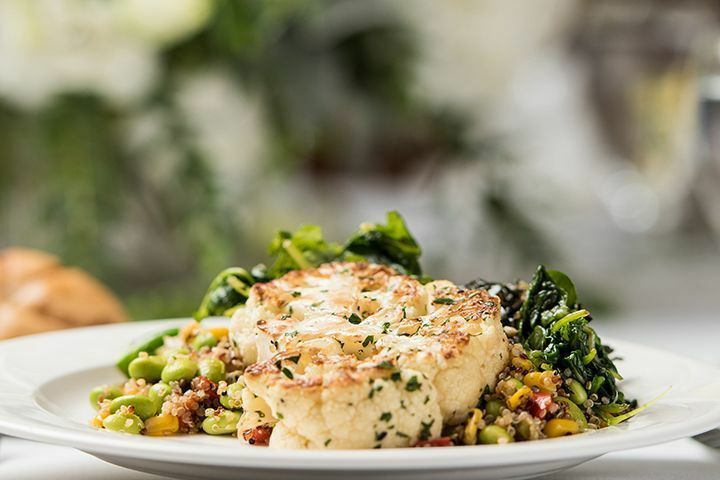 Customize your menu from a variety of food options. This venue also offers zero-waste catering. This venue is located at the University of Michigan, Ann Arbor. Only a brief walk from downtown Michigan, this venue is strategically located. The Michigan League was awesome! The setting of the Ballroom for the reception and the Vandenburg/Concourse for cocktails was perfect for 175 people. The team at the League, led by our event coordinator, Chelsea Herlein, was amazing! 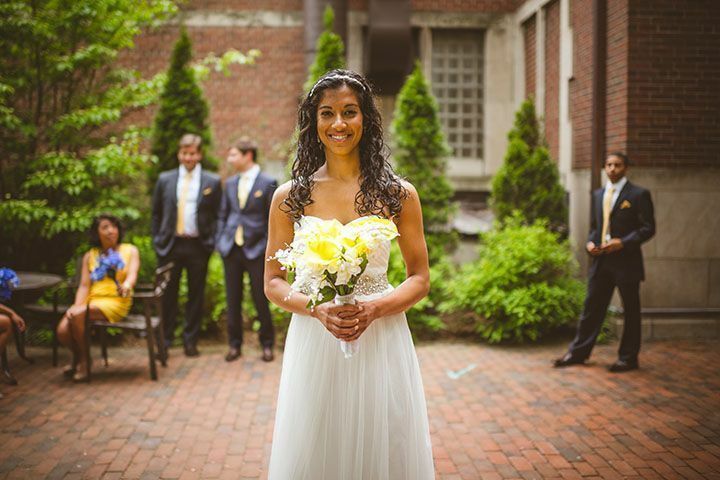 Chelsea took care of everything, answered any question, and was so wonderful leading up to the big day. Everything went smoothly and she kept me totally calm! The food was delicious (salmon, steak) and the service was wonderful. The venue surpassed my high expectations! The League staff were incredible! We booked the Hussey, Vandenberg and Concourse, and we could not have asked for better. 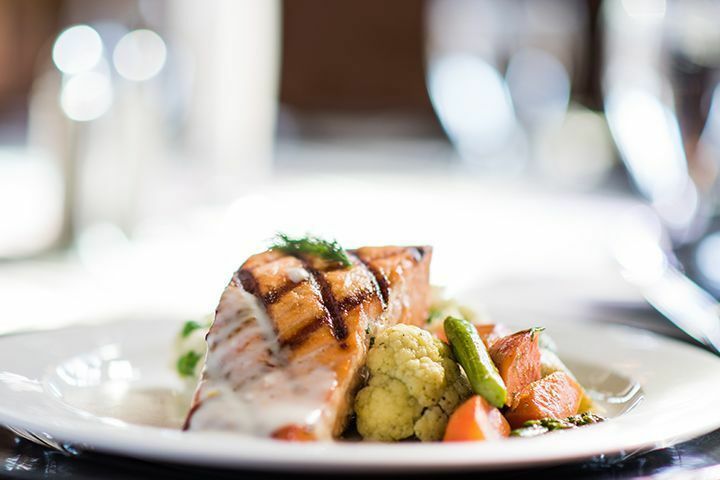 The food was incredible, the staff kept everything running smoothly. If you book here, you're working with true professionals! We loved having our cocktail hour and wedding reception at the Michigan league. 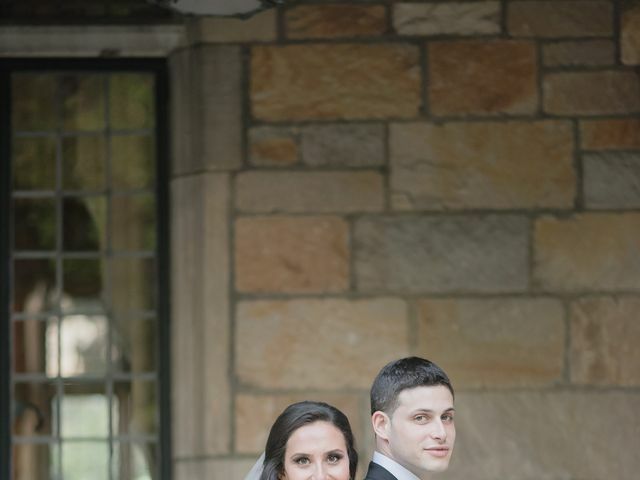 Lindsay was a pleasure to work with, we live in a different state and Lindsay made planing our wedding via phone calls and emails go so smoothly. We chose the ballroom at the league because it had the largest dance floor and we were not disappointed. The food exceeded our expectations everyone loved it. They chef also made us a dairy free appetizer special so the bride could eat something (lactose intolerance). 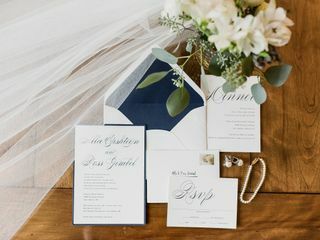 The staff who ran our event were fantastic and were ready to help with all the small things like getting the groom bandaids and the bride a sewing kit to fix her broken dress strap. We highly recommend the Michigan league for your wedding or event just book early as they are a very popular venue and book up very fast.